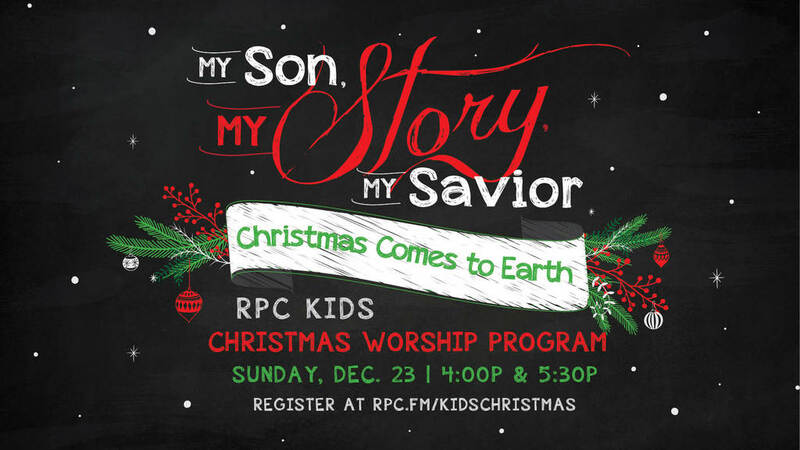 RPC Kids welcomes all 1st-5th graders to participate in our annual Christmas Worship Program! Children will have the opportunity to participate in this program through singing, speaking, and dancing. Registration and participation in all practices are required. **If your child would like to audition for a special speaking or vocal part in the program, registration must be completed by Tuesday, October 23. Auditions will be held for registered participants on Wednesday, October 24 at 5:00pm. The program date is Sunday, 12/23 at both 4:00pm and 5:30pm in the main building worship center. Participating children will arrive at 2:00pm that day for a run-through. Children will have the ability to try out for various singing and speaking parts. Children in Glory Moves will perform a dance they learn during Glory Moves programming.